The Monarch Bay Terrace Homes are located in this beautiful gated community in the Monarch Beach area of Dana Point, between Crown Valley Parkway and along Pacific Coast Highway, with custom homes scalloped up the hill, given the neighborhood its name and an ideal location to maximize the ocean views of Monarch Bay in Dana Point and Catalina Island. Monarch Bay Terrace is an attractive neighborhood and there's many guidelines in place within it to protect the amazing ocean views and property values. It's close proximity not only to the Dana Point city amenities, but to Laguna Beach, make it an always searched for neighborhood. Monarch Bay Terrace is also a must see nieghborhood for those looking for single level homes, as many of the custom homes are and many Monarch Bay Terrace homes also have private pools and spas. Search all Monarch Bay Terrace Homes currently listed in the MLS including short sales and foreclosures. For more information about any of the homes, please contact us at (949) 888-6788, or contact us via email. Read more about the opportunities that the Monarch Bay Terrace Real Estate has to offer. Avail yourself panoramic ocean Catalina views from this single level home. Located on a corner lot in Monarch Beach Terrace, this 4 bedroom 4 bathroom home enjoys 4,000 square feet of living space. Sit down ocean and city lights views from living room and family room/library and back yard. Updated kitchen with stainless steel new Kitchen Aid appliances, double door refrigerator opens onto patio. Separate dining room. Privacy with views. The Monarch Bay Terrace real estate options are endless as this is a neighborhood of custom homes. Most homes have panoramic ocean views or hills views, and the association has rules in place to protect those views and home values. Due to the size of the lots, many of these custom homes also have private pools and spas, and many have been remodeled, most of the homes original construction is in the sixties and mid seventies. 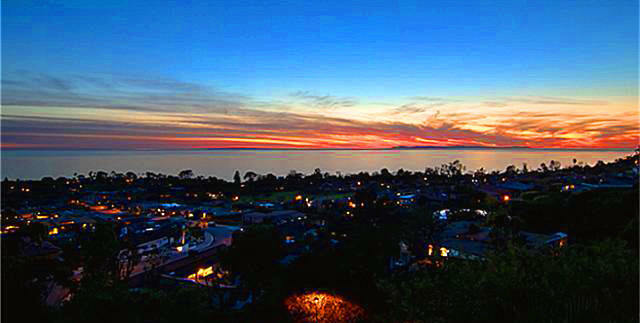 OCExecutives specializes in real estate transactions of Monarch Bay Terrace Homes in Dana Point, California. Contact us today to sell real estate or buy real estate in the Monarch Bay Terrace community of Dana Point or for more information about any of these Monarch Bay Terrace homes. If you would like to see a list of homes in other communities in Monarch Beach or Dana Point, follow the links above, or click here for other Dana Point Real Estate.